Why Choose Premium Business Email? Email is the backbone of any business and managing it well has become mission critical for the company. 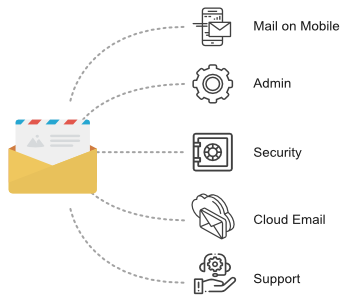 Gone are the days when SMEs fret over their changing email needs and affordability of the email solutions and large organizations considered in-premise hosted email solutions for confidentiality, control and better management of mails, despite it being a "white elephant solution‟. Today with cloud based email solutions, they can focus more on their core business than spend time on their email solutions.